A refugee and migrant surge reaching the Greek islands of the North Aegean has seen more than 1,150 people arrive in the first 10 days of this month. More than half of them reached Lesvos, where the Moria camp, built to shelter 2,300 people, is currently home to 5,500. Living conditions are unbearable, says 20-year-old Farooq Cheema from Pakistan, here for the last 16 months. “Too many people. They have to leave Lesvos, they don’ t want this life. For refugees, there is nothing here. No space, no treatment, no clothes. Every night, there are fights in the camp. The police come and just watch,” he complains. Just behind the camp “a sanitary time bomb” is ticking. Kids walk around and play in a dump, while no one seems to be in charge of cleaning. Many refugees are sick and terrified of the winter which is coming. Some newcomers like 16-year-old Sarah Nawabi from Afghanistan feel betrayed and shocked. #Greece Municipality of #Lesvos to hold general strike on 20 Nov. as protest to #refugee policies. 8170 #refugees are held on the island. 106 new arrivals in past 24 hours. Winter is coming. Heavy rain is already here. “We didn’t think it would be like this. If we knew, we would not have come here. Because we want a better life, we want to study and live. But here, there is nothing , I see nothing,” says Sarah. No one, it seems, is happy. Police officers and locals were demonstrating at the main gate. Four police officers were arrested because two migrants due for deportation managed to escape from the camp. Police officers say that this is unacceptable. They are demanding better working conditions and complain they are severely understaffed. “In recent months, very few migrants who had their asylum cases rejected have returned to Turkey. At the same time, dozens of refugees contine to make the dangerous journey to reach Lesvos. 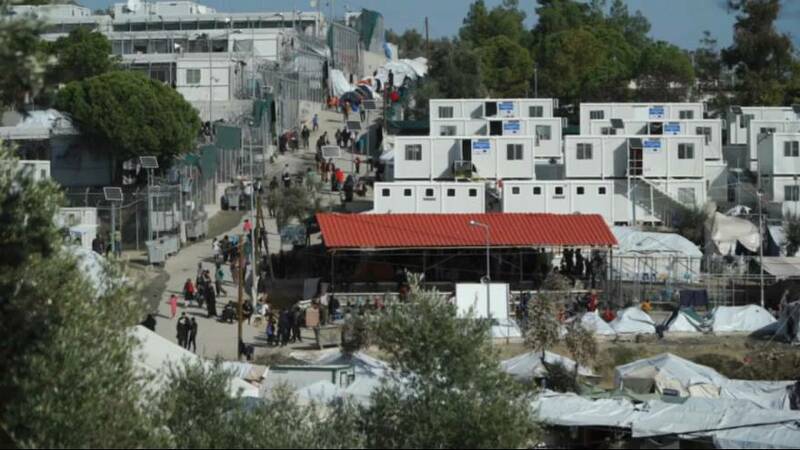 So once again, Moria camp is overcrowded and in a state of emergency”, reports euronews’ Apostolos Staikos. £40 will keep an especially vulnerable #refugee in #Greece safe – out of a camp or the streets – in a rented flat for a month.